Ready for heating installation in Denver? Give us a call today. Are you busy with a newly constructed building in Denver, North Carolina that needs heating installation? Or perhaps you have recently purchased an older building and want to upgrade the current heating system to something newer and more efficient. 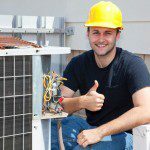 If you want to get your home or business’ new HVAC system started with the best foot forward, give us a call at Cool Comfort Heating & Air today to discuss your options for heating installation. If there is an existing system, we measure the efficiency of that system. Generally speaking, newer technology allows new heating systems to be much more efficient than older heaters were. With the high price of heating fuel, we understand that you want to use as little of it as possible. Many new models use fuel very economically and waste very little. We will carefully calculate the heating load of your home or business. This is the amount of energy needed to maintain an indoor temperature of 65 degrees Fahrenheit. It is important to get this calculation right before heating installation because if you get a heater that is too small, it will run frequently and not be able to keep up. If you choose a heater that is too large for space, it will cut on and off more often and waste energy. A new heating installation is a big investment. Most furnaces last 10-15 years, so it is important to make an informed choice when the time comes to replace yours. When you call us, you can rely on our experience and knowledge of local climate. We are locally owned and operated and have been serving Denver and the surrounding area for over 15 years. At Cool Comfort Heating & Air, we provide high-quality heating installation services in Mooresville, Huntersville, Cornelius, Denver, Lake Norman, Troutman, and Davidson, North Carolina.